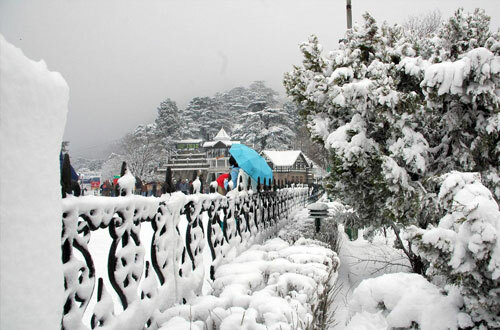 A quaint little hill train chugs up into the Shivalik foothills, over dramatic loops and high arched bridges to the hill resort of Shimla, the capital of the mountain state of Himachal Pradesh. 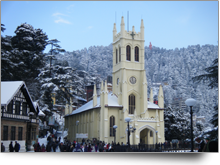 Shimla was one a string of hill stations that the British established to escape from the scorching heat of the plains. 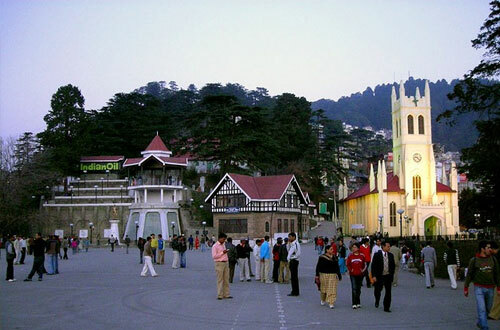 The 12-kms, crescent shaped ridge on which it is located was first occupied by the British troops, in the early part of the 19th century, during the Anglo-Gurkha War. 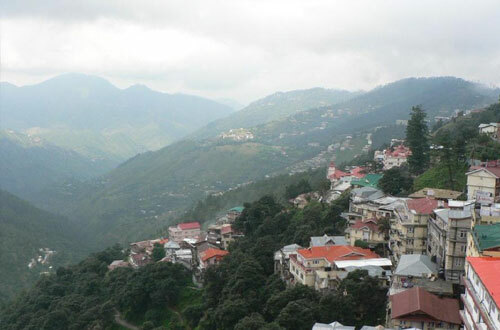 The little village of Shymala, a retreat for British officers, soon grew to become the glamorous summer capital of the British, in India. 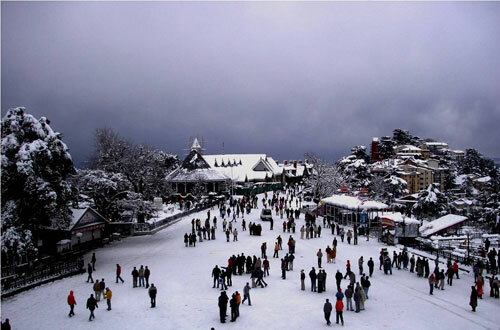 Shimla's salubrious climate, easy accessibility and numerous attractions have made it one of the most popular hill stations in northern India. 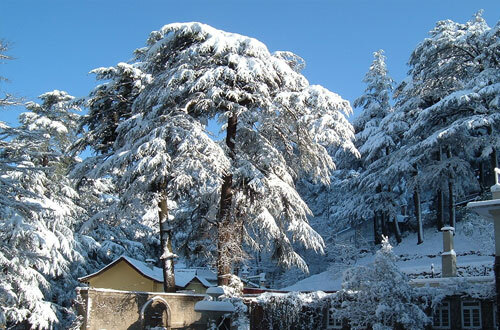 The splendid views of the snow clad ranges of the Himalayas, fine walks through oak and flowering rhododenron, enchanting resorts within easy reach, golf at naldehra and skiing at kufri and narkanda make shimla an attractive destination throughout the year. 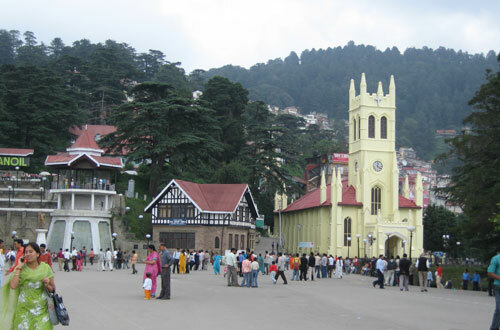 Rail :Shimla has a narrow gauge railway line on which Toy Train runs from Kalka to Shimla. 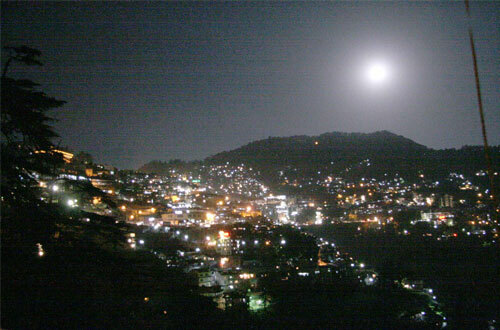 The train cruises its way through valleys and beautiful landscapes at a very slow pace making the journey very pleasant. 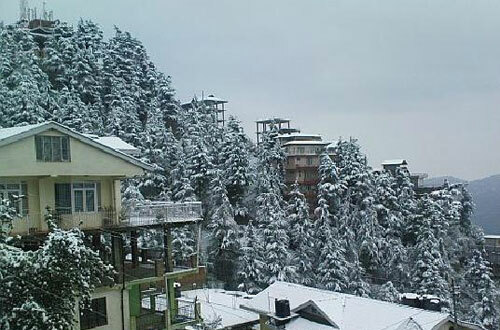 From Kalka one can take trains to other parts of India too. 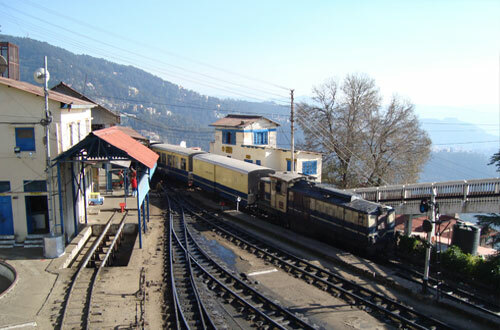 The Toy train from Shimla is of two types - one is the normal multi coach train and the other is the single car train, which has a glass roof giving an enthralling experience during the journey.